Home / Giveaway / Who Inspires You? Although my husband was considered an army brat, I had only moved once in my childhood then again into an apartment after college. There was never a time when I was far from home and family – I went to college just blocks from the high school I graduated from. When we decided to make the move to California, it was a huge deal for me… it was the first time I would be away from everything that I knew. DH moved out a few months before I did, lived in a hotel for the majority of the time before finding an apartment before my arrival. I was in charge of coordinating with the moving company, getting things packed, selling what we didn’t want to take and wrapping up loose ends in Iowa. We spent what little we had saved up in hopes that California would prove successful. …At least we didn’t have children at the time to make an uncertain situation even more stressful. We knew we had a few safeguards. The job was lined up before we moved and we didn’t have kids. Los Angeles is dramatically different from Iowa, but we looked forward to the cultural diversity and all that California had to offer. When I hear stories like that of Ivette Meléndez, a spokesperson and member of Seventh Generation Nation, I realize that our journey could have been much more difficult than it was. Ivette ventured to the United States from El Salvador with a toddler and a suitcase. She found work cleaning houses until health issues plagued her and she was forced to find alternative work. After switching to products made from natural ingredients, her health issues subsided and she was able to return to her cleaning business. 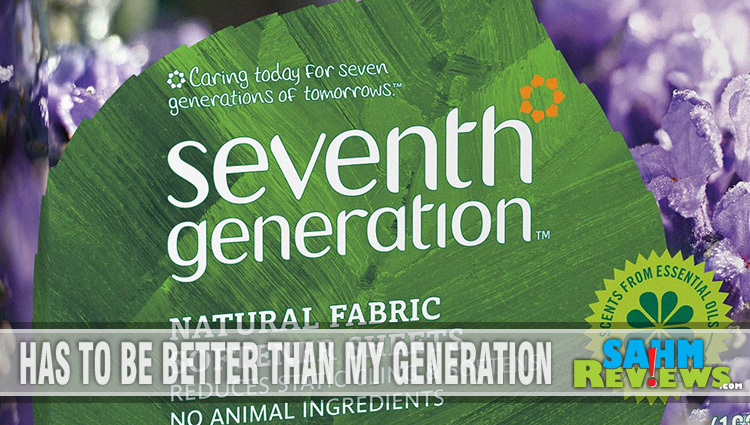 “Natural” is the foundation for Seventh Generation. Stories like Ivette’s are inspiring and as a result, Seventh Generation created the “Search for Mother Nature” contest. They’re looking for a real life Mother Nature. Someone who leads by example in their pursuit of a greener, healthier home, community and earth. The grand prize winner will receive a $5,000 green home makeover and both the nominated “Mother Nature” and the grand prize winner will receive a year’s supply of Seventh Generation products. The contest closes tomorrow so if someone naturally inspires you, then stop over and enter the contest at Seventh Generation. Let me tell you, until recently I hadn’t given a whole lot of thought to “green” cleaning products. With a new kitchen and a realization that not all cleaning products are appropriate for all surfaces, I’m changing my outlook. Seventh Generation shipped me a Mother Nature kit as a thank you for sharing the contest information so I’ve had an opportunity to try out some products that are new to me. I haven’t reached the point of throwing out all the traditional cleaners but I am being open minded. I recall when natural products like this started hitting the market, the concern was that they aren’t as effective – as an example, the dish soap wouldn’t be sudsy. As you can see from my picture, that’s not an issue. 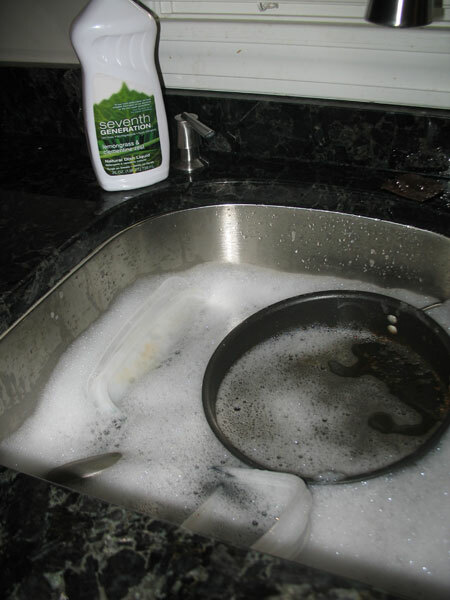 When I washed the dishes, I added the same amount that I would from my usual dish soap and achieved fine results. Then I started reading Ivette’s tips, advice and myths and found “Myth #3: If a Product Doesn’t Make Suds, It’s Not Working”. Guess I’m not the only person who still thought that!My granite counters are new and I was instructed to use a “PH Neutral” product so I opted to stick to the cleaner provided from my contractor rather than the Seventh Generation. 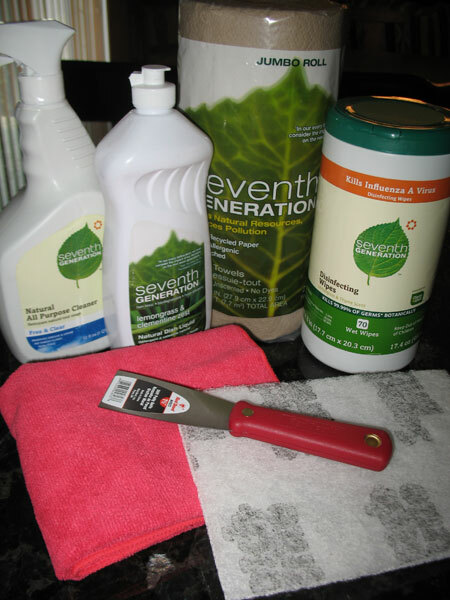 I did use the Seventh Generation multi-purpose cleaner to clean the wood kitchen table, the bar stools and even (spot clean) the floor with total satisfaction. It was strange not to have a strong smell wafting through the air though. But I can only say so much in the short time that I’ve tested the products. My mom is currently long-term testing them out and a post will follow with more detailed responses to the various products. In the meantime, maybe if YOU tried them out, you could decide if that natural approach to cleaning is best for you, your family and the earth. What better way to find out than to win some. 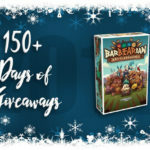 Sometime on June 9, 2010, a winner will be chosen at random from all valid comments left. Winner has 72 hours from posting/notification to respond. If winner cannot be contacted, I will move on to the next random selection. a lot of surfaces to keep clean! -I'm a SAHM email subscriber. I subscribe by email! And the liquid laundry detergant would be most important around my house! We have alot of loads of laundry! I like 7th generation on FB! And wrote on their wall! I follow 7th generation on twitter! The disinfecting wipes would be our most important product. My little ones get the counters all dirty often and I want to make sure that it is cleaned with a non-toxic product since we use the counter and tables to eat, play, draw, etc! email subscriber. I think the surface wipes are what we would see as most important if they work as well as Clorox. I follow Seventh Generation on Twitter as wiscmom24. I'm very anti germ and I think the disinfecting wipes are a must! The Free & Clear Natural 2X Concentrated Laundry Liquid is most important for us.